The Richmond Hill Exchange Club is proud to recognize outstanding members of our public safety community annually for the past 30 years. 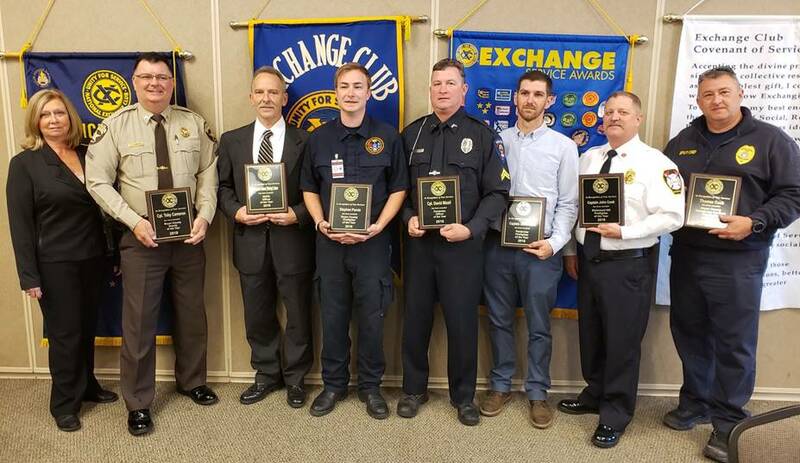 These fine officers were recognized at our Annual Public Safety Officers Banquet held on March 27, 2019. The Awards Banquet was well-attended, with over 50 people in attendance. President Janet Thayer did an outstanding job of handling the introductions and presentations. All of these recipients, and the other public safety personnel they represent are owed a sincere thank you from the citizens they serve and protect.